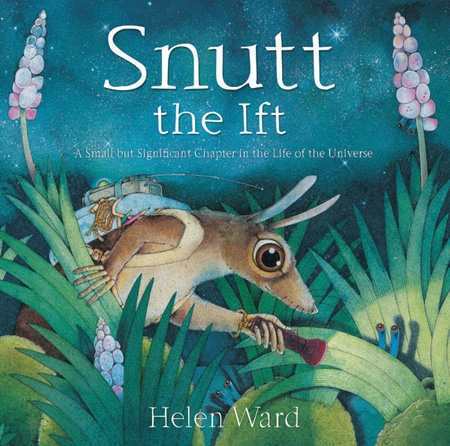 Snutt voyages to a distant planet to discover what he can—wonderful tuffetills, blossibums, and flewimols—only to find that he’s terribly lonely away from home. When he eventually meets a Waft, with whom he can share his beautiful surroundings, Snutt learns the meaning of contentedness. Gorgeously detailed illustrations. All ages.